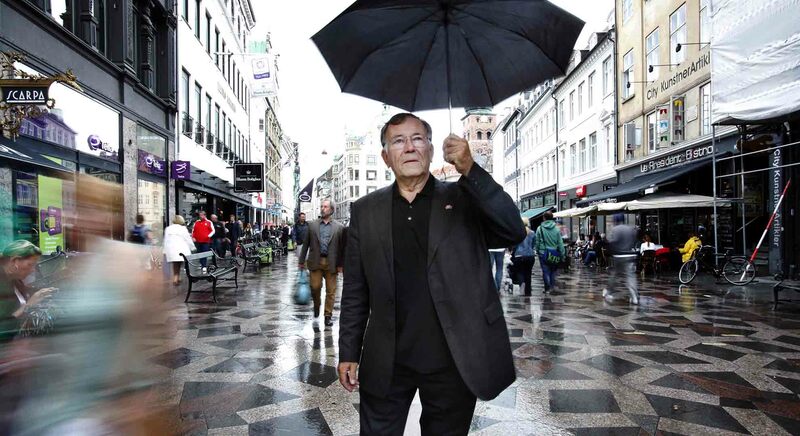 Pioneering Danish urbanist and city architect Jan Gehl talks about prioritising cities for people and ease of mobility. Jan Gehl is a city architect that has helped transform places like Copenhagen and Melbourne into some of the world’s most liveable cities and written seminal books such as Life Between Buildings: Using Public Space (1972) and Cities for People (2011) that explore the need for making people-oriented cities. You have written at length about how modernism wasn’t about making cities for people but cities that looked good from above. Can you elaborate? Until modernism, cities were built around spaces where people moved around and held markets, which were also spaces that linked various parts of the city together. If you think of the older cities you know, people often don’t remember buildings but the main squares or the important public spaces. What happened with the modernists was that the focus was completely shifted away from spaces to objects, to buildings. So instead of making spaces with buildings around them, they started to make buildings with no man’s land around them, what I call leftover space. That was a massive change in the way cities were built. The new spaces were often too big, too wide, too windswept and not attractive in any way. As a city architect, you have written a lot about the need to study people and how they behave. Many cities have traffic departments but still don’t invest the same sort of money and expertise in studying people. Is that something that you think has changed? Oh yes. Motorcars have been a major focus historically because they create accidents. And because there is a lot of money involved in the motorcar industry. 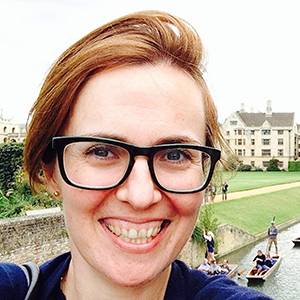 But increasingly it has been recognised that if you document something you care about it more. When you know something about how your city is used by its citizens, then that becomes part of what you look at when making policy. What are some interesting examples of places that have become better for people in terms of walking and experiencing the city? Of course one of the cities that has been on this bandwagon for the longest time is Copenhagen. Already in the mid-60s, they started to have people-oriented city planning. They have come very far now and it’s seen as one of the most liveable and people-friendly cities in the world. Another city where marvellous things have been done is Melbourne, once an awful colonial city with no people in the centre in the evenings and weekends that now has the opposite problem; they have to find a way to relieve the streets of people. In Moscow they have also been very eager to do something and have pedestrianised streets, removed parking and obstacles and cleared up signage. 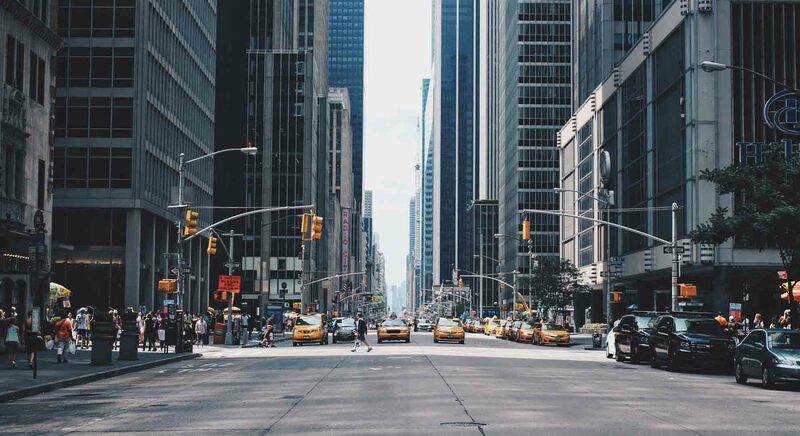 And of course New York, where between 2007-2011 they widened the sidewalks, took away obstacles and closed Broadway in Times Square, Madison Square, Herald Square and Union Square, creating numerous public spaces. In South America there are also a number of cities that stand out. Places like Curitiba in Brazil and Bogota and Medellin in Colombia. Here and there you find enlightened mayors who are in a strong position in that part of the world. And if it’s a good mayor they can do good things. 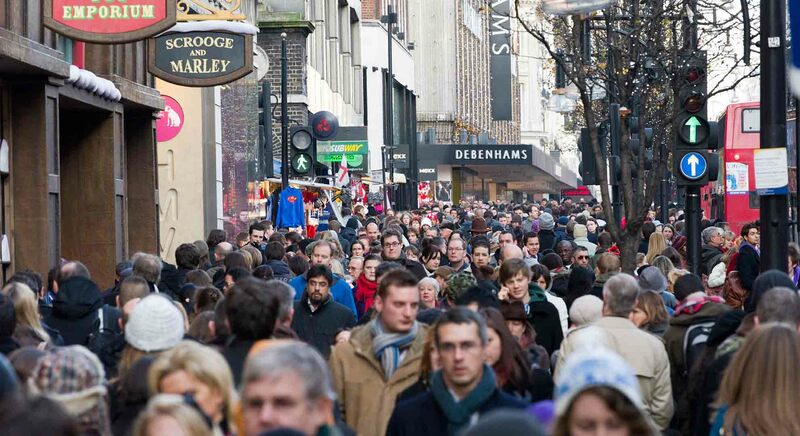 Perhaps surprisingly London hasn’t done enough to make itself a people-centred city. In 2004 I was invited by the former mayor Ken Livingstone, Transport for London and others to do a big study of London. I was very shocked to see how bad the situation was for pedestrians generally in the city at that time. One of the things we observed was that there were no really nice streets for promenades like they have in Paris and Rome. There was so much traffic, the pavements were too small and had too many obstacles, and the noise level was high all over the city. We came forward with a number of recommendations but sadly not that much has changed. They are still bickering over whether they should close down Oxford Street, fifteen years later, and discussing whether the city will thrive if they take a few cars away. This is one of the most important streets in Europe by the way, both in terms of retail and in terms of pedestrians, who are currently being squashed onto two sidewalks. Do you think public transport should be more affordable or even free? There are many cities now that have free public transportation. One very interesting example is Estonia, where they started in Tallinn and then rolled it out across the country. 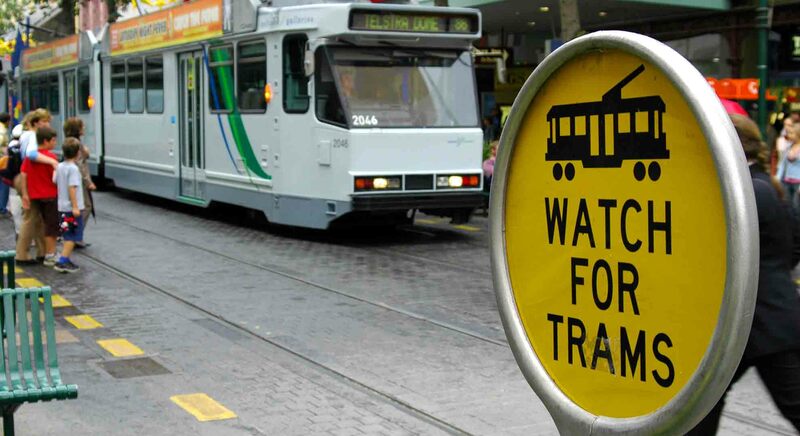 Public transport in the city centres of Melbourne and Perth is free too. The idea of making public transportation accessible and attractive has been around for a long time. In many places they have experienced what this implies and what it costs and it’s feasible. There are cities looking into implementing a congestion charge in order to make public transportation free, or offering a free transport pass to anyone paying the charge. How do you make a city that is apt for disabled people? When a municipality hasa policy of being kind to people it also becomes much nicer for elderly people and disabled people. It is about a basic attitude: If you make the city to make the cars happy or if you make the city to make the people happy. And this has major repercussions for the disabled. 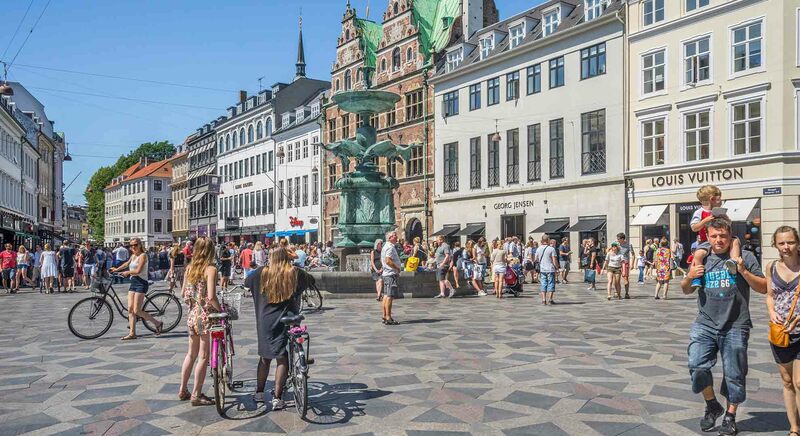 On a similar note it seems like cities with strong climate adaptation strategies are also focused on creating better public spaces for everyone. Yes water squares for example [spaces that store water during sudden rainstorms but can be used for other purposes when dry] become wonderful recreational spaces for kids and everybody else when the rainwater has gone down. So you get double your money. But it all comes down to mindset. We have to change the mindset of planners, city architects and engineers so that instead of going for technocratic, ‘smart’ and technical solutions, they take a concern the well-being of people as their point of departure.